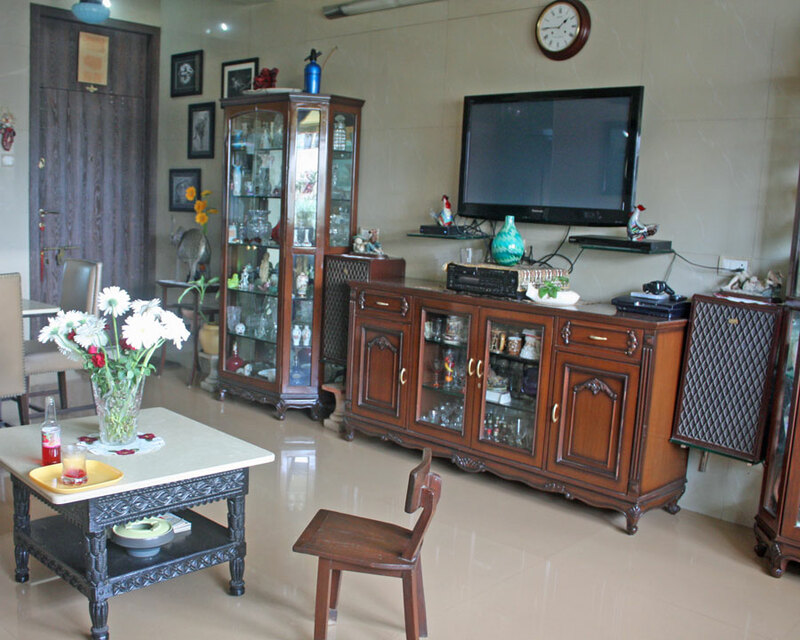 Mahrukh lives with her husband, son and daughter in their ancestral home in the old-world Ness Baugh, situated in South Mumbai. 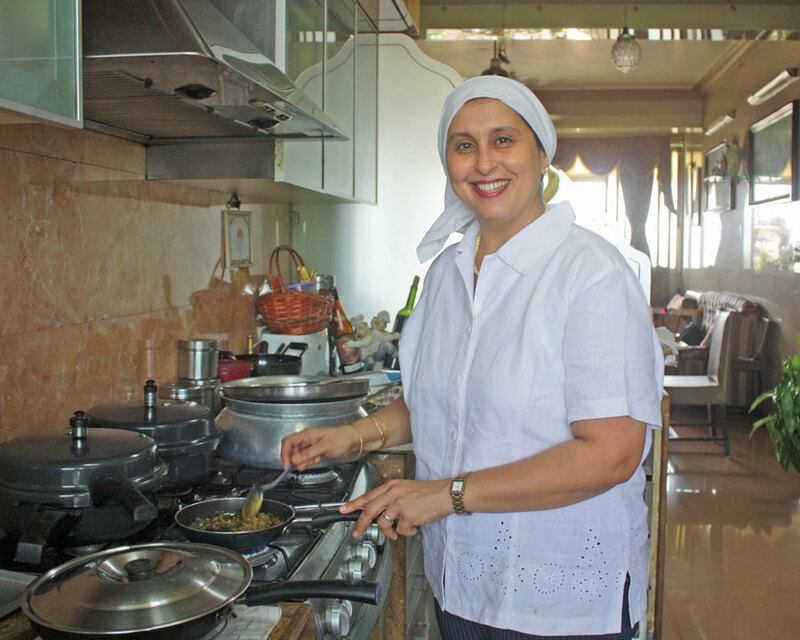 By day Mahrukh runs a beauty parlor, but cooking and feeding her friends and family has always been her passion and she jumps at the chance to serve authentic Parsi food to travelers from around the world! Mahrukh first started cooking at the age of 7, when was so tiny that she needed a step stool to reach the gas burner. Her biggest fan has always been her father, who was always delighted to eat whatever his little daughter cooked with happiness and pride. She learned all of her cooking techniques from her mother and grandmother and delights in keeping old family recipes alive. 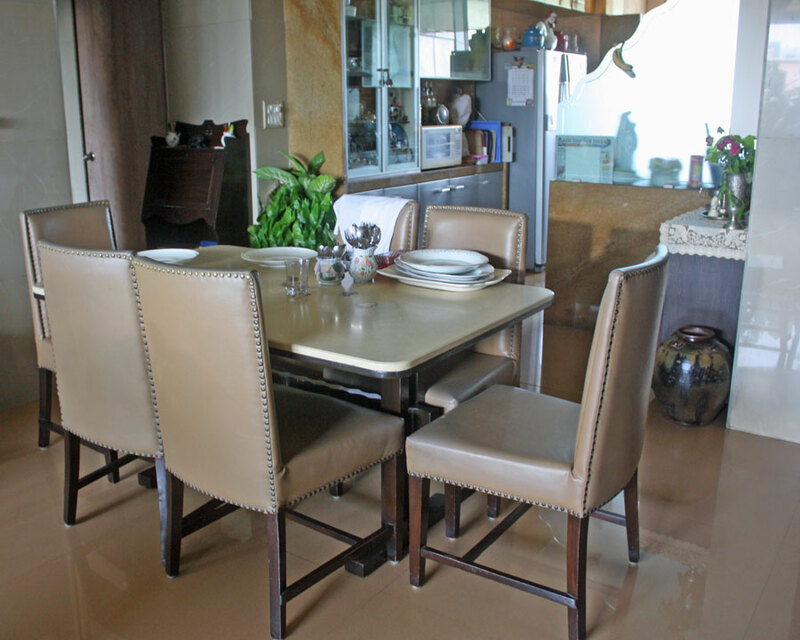 In-home meal: (1-8 guests) Mahrukh lives in an old Parsi colony giving you a feel of the community's unity and strong bonds. Before you enter the house you will notice that the doorstep is decorated with beautiful rangoli designs. Rangoli is an art form in which decorative patterns are created on the floor in living rooms or courtyards using materials such as colored rice, dry flour, colored sand or flower petals. 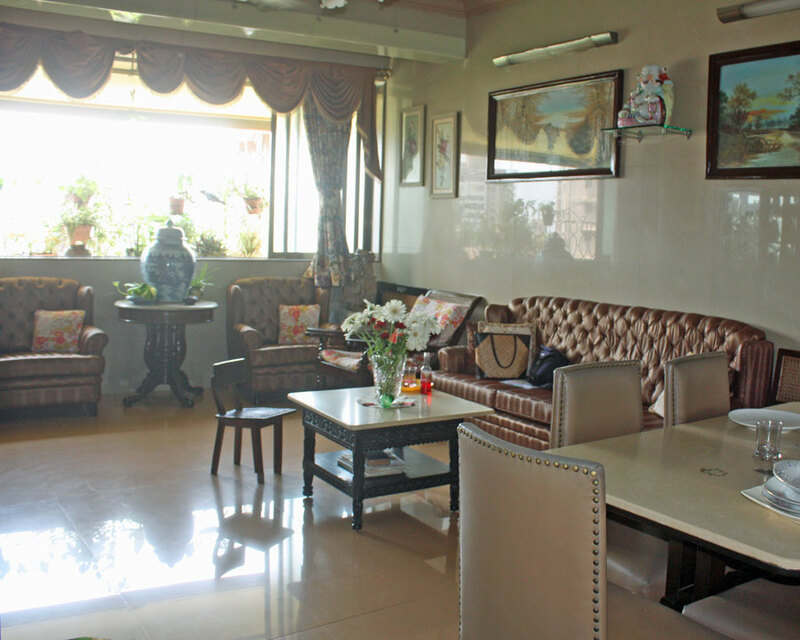 Mahrukh will welcome you with a warm smile into her apartment that has been decorated with her daughter’s beautiful sketches and other artwork that reflects the creativity and artistic nature of the people who live in this home. Later, join Mahrukh and her family for an authentic Paris, meat-centric meal. 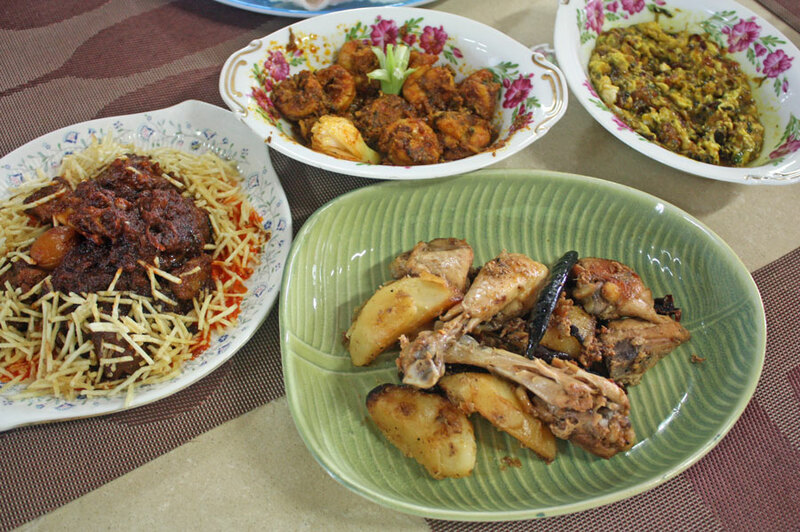 Your meal might include dishes like saria and lagan nu achaar (rice crisps served with homemade date pickle), tam tamata prawns (prawns in a spicy, tangy sauce), jardalu na gosht (tender lamb, slow-cooked in an intense apricot gravy topped with crisp salli), roast chicken, and finally lagan nu custard (a dense, luscious baked caramel custard topped with nuts and served with vermicelli and sweet yogurt). 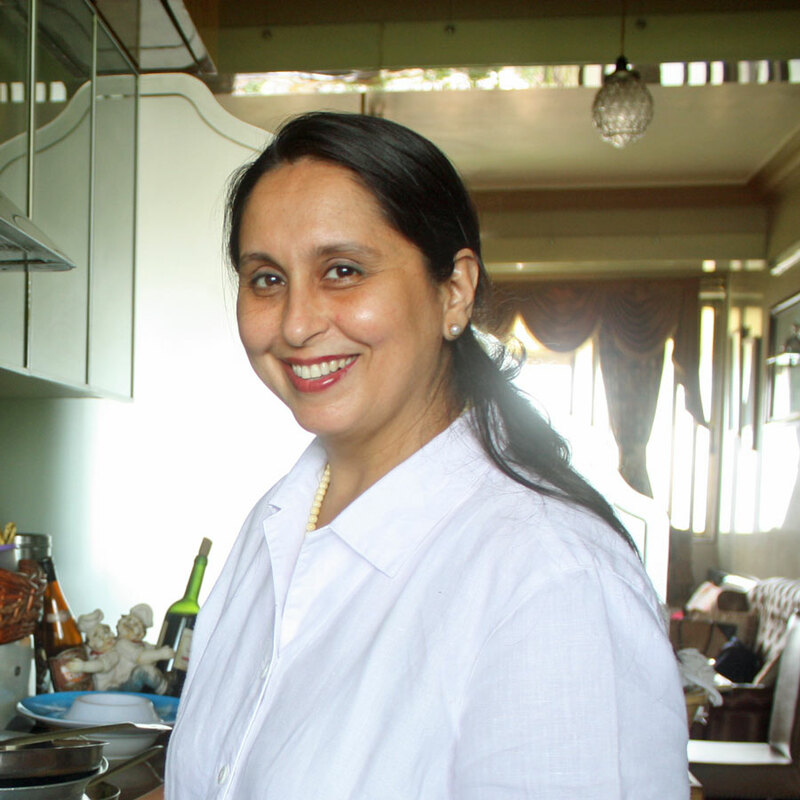 Cooking experience: (1-8 guests) Together with Mahrukh learn how to prepare two of the dishes you will be eating. 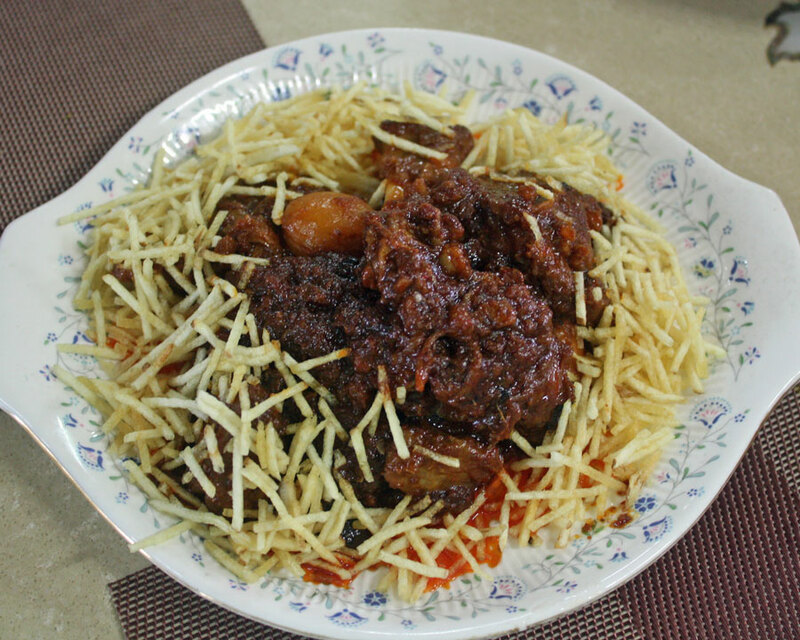 You might learn to make some of Mahrukh's signature dishes like akuri (Indian scrambled eggs), patra ni macchi (steamed fish topped with chutney and wrapped in a banana leaf) or chicken pulao and daal (chicken with basmati rice topped with browned onions and lentils). After you've finished cooking sit down together to enjoy your meal, which will also include a variety of other dishes that Mahrukh has prepared in advance. Market visit: (1-8 guests) You will be greeted at Mahrukh's home with raspberry soda, which is an integral part of every Parsi meal. As the saying goes “Parsi is raspberry, and raspberry is Parsi.” You’ll then be taken to the Grand Road Market, where Mahrukh will show you how she buys all her fruits, vegetables, meats and fish. Mahrukh’s Parsi cooking class was fantastic! She is very professional and a warm hostess as well! 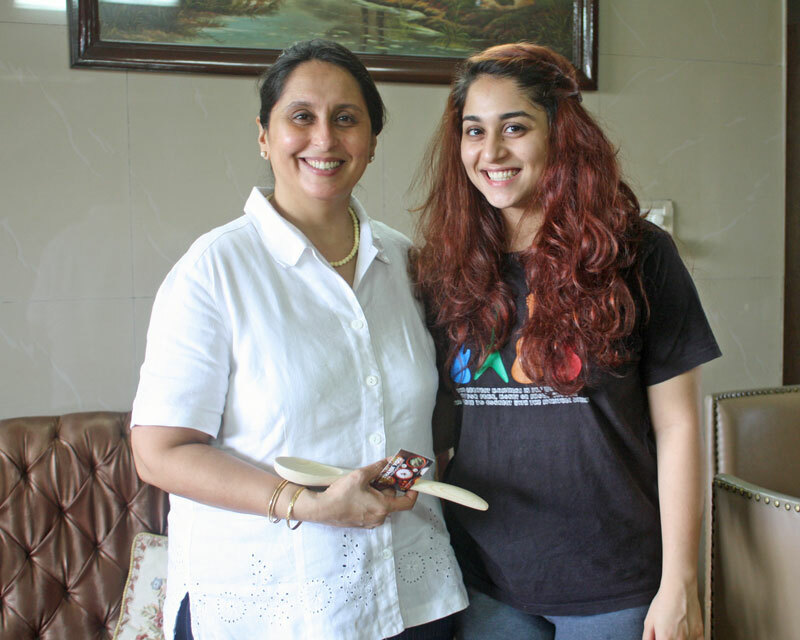 Her house is very artfully decorated and everything has a story about it that from ancestral Parsi culture to Mahrukh’s last vacation souvenirs. 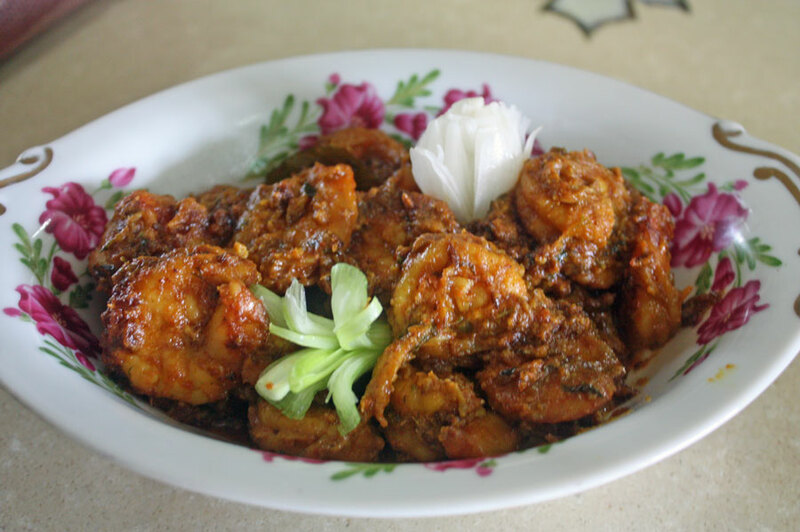 Even though we went in the monsoon season, she was able to source and fry up delicious Pomfret and prawns (accompanied by icy cold pints of beer) We also learnt the ancient recipe for Akuri (Parsi style scrambled eggs) Mahrukh had printed recipes and gave notes along the way as well. We had fun cooking, she has a deft hand and moves around her kitchen with lightning fast speed. My wife and I being professional chefs we really enjoyed and appreciated her teaching, sidenotes and witty jokes. We rounded off the meal with chicken Pulao and stewed mutton in apricots and finished with a delectable baked custard! The vibes were really homey and reminiscent of “Dinner at mom’s house” and after an evening of laughing and eating we more eating we rolled home happy campers! Would definitely come back for another class! The experience with Mahrukh was wonderful. Wouldn’t change a thing. It was 100% what we were looking for, to connect with the locals through food. Mahrukh and her family were very sweet and welcoming. We had great fun sharing stories and learning at the same time. Only wish we could eat more but we were so full from her delicious meal. We had a fantastic day with Mahrukh. It was a great, authentic experience! Mahrukh and her family are very welcoming. The food was amazing and we also learnt a lot. Highly recommend! She is absolutely amazing! I loved everything Mahrukh served, but my favorite dish was the fish. From the moment we arrived, Mahrukh and her family made us feel genuinely welcome and relaxed. Mahrukh outdid herself with her gracious and generous hospitality. The dishes she had selected, and the instruction she provided at the market place, and in the kitchen, gave each dish added meaning, flavor and satisfaction. Coupled with this was her patience with all our questions, adding further to the cultural element of each dish. This visit was a true privilege, and one we hope many others come to enjoy. What a wonderful experience I had with Mahrukh! We shopped in the market, cooked in her kitchen using traditional methods and then enjoyed an amazing meal together! Mahrukh was a fantastic teacher. I highly recommend a cooking class with Mahrukh!